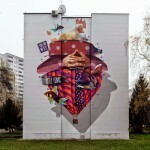 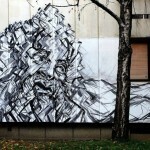 Based on one of his ink drawings Lonac recently wrapped up his latest mural in Sarajevo in Bosnia and Herzegovina. 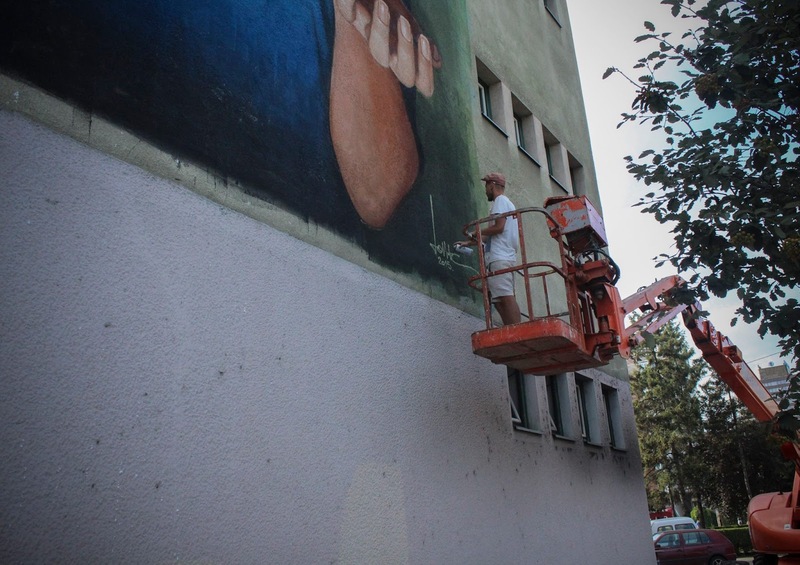 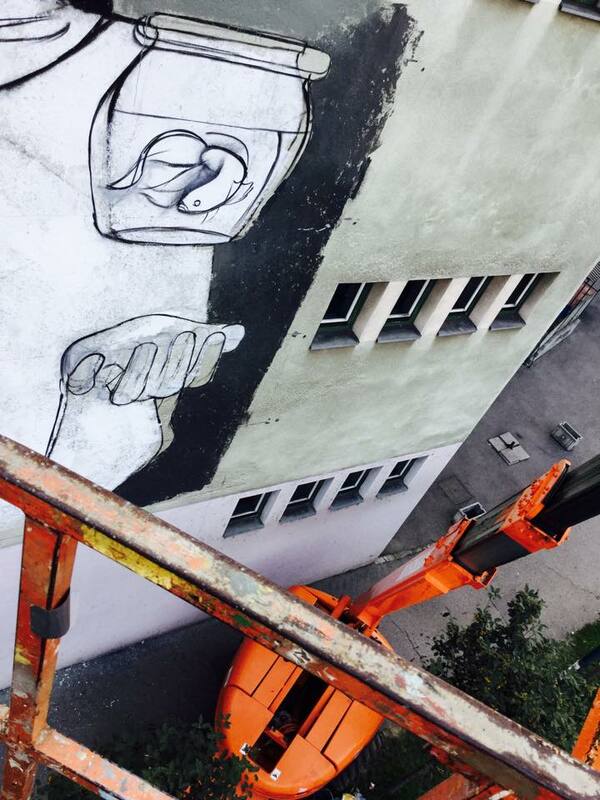 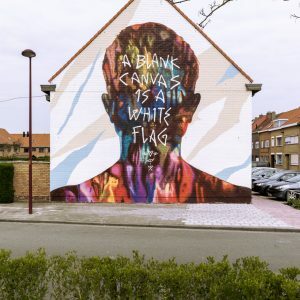 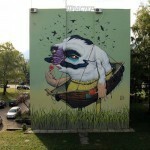 Taking part in the local Betonfest festival, this was his contribution to their “Lets paint peace” campaign. 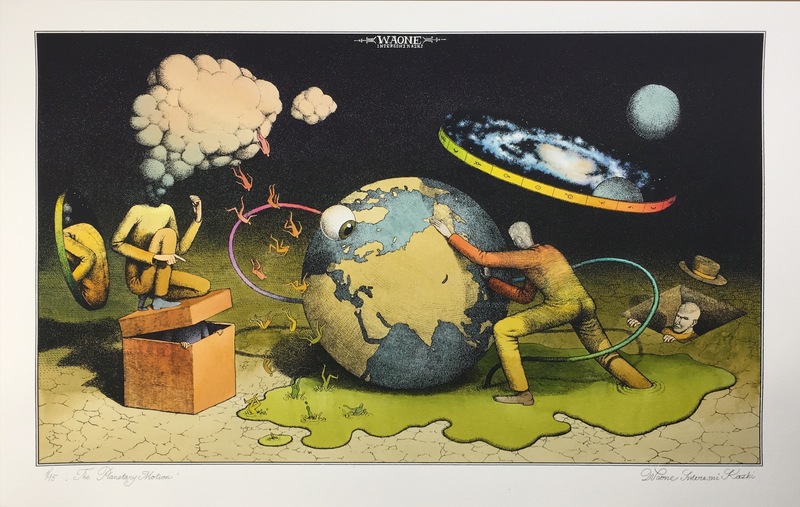 Titled “Allegory of Peace and War” the image is a clever metaphor of the eternal battle between good and evil in it’s most direct manifestation. 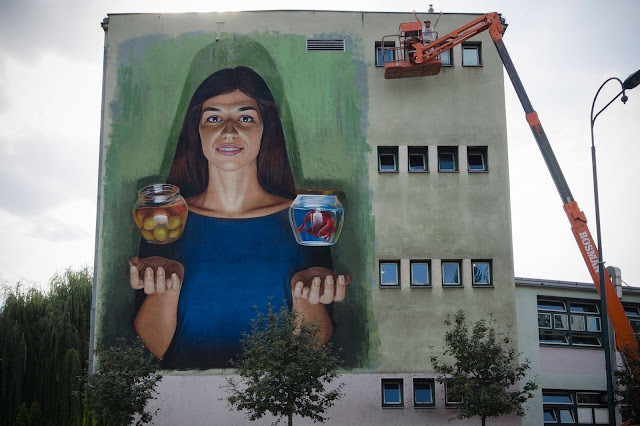 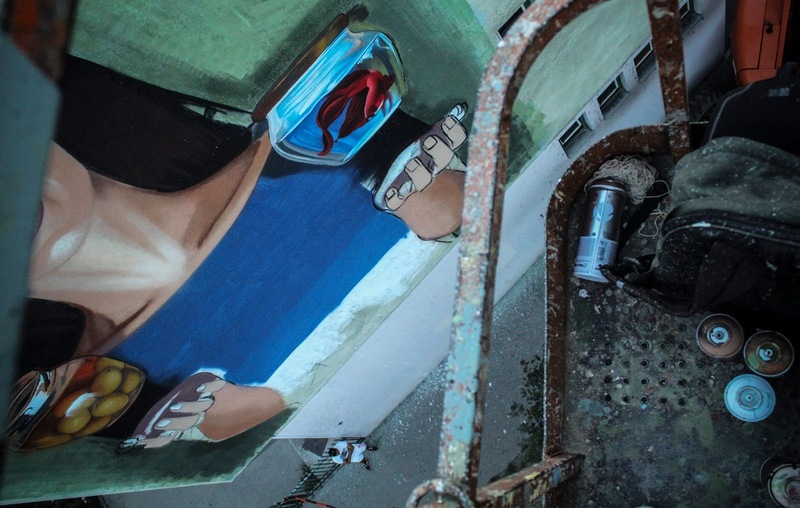 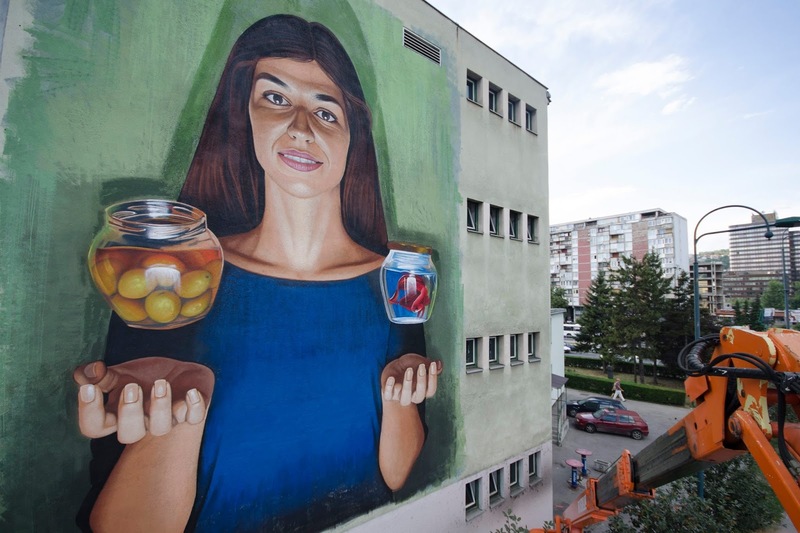 Painted in a city that was torn apart during a war only 2 decades ago, the piece is depicting a female character balancing two jars, one with olives and one with a Siamese fighting fish, a recurring image in Lonac’s work. 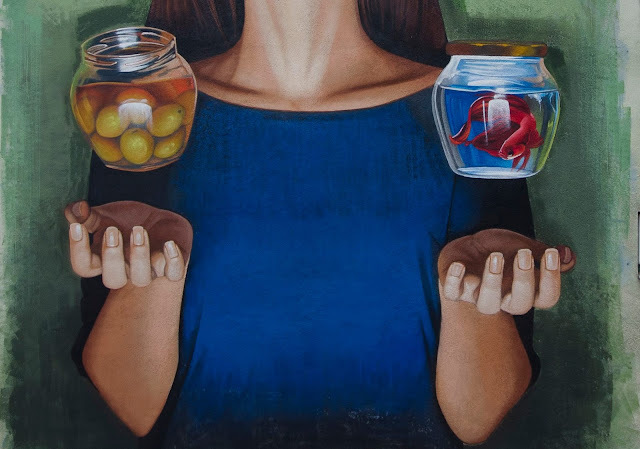 Known to be extremely aggressive to it’s kind, just like humans, the fish in a closed jar is symbolizing war, while the olives in the open jar are symbolizing piece. 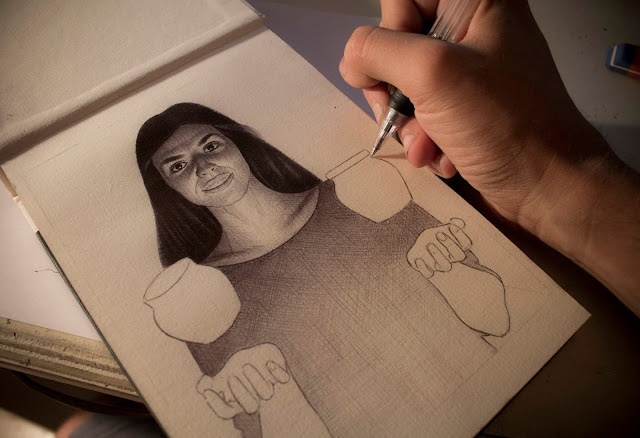 With his impeccable technique and skills, Zagreb-based artist quickly wrapped up this impressive photo realist piece, once again proving his huge talent. 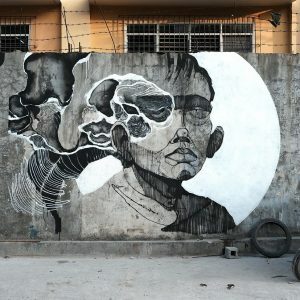 Check out more detail and work in progress photos by SilkFatBlues after the jump and come back soon for more fresh news from the walls around the globe.